The Environmental Protection Agency found Hyundai and its sister company, Kia, overstated the fuel economy ratings on about 900,000 cars. If you bought a Hyundai or Kia over the past three years, you could soon be getting some money back from the two automakers. The Environmental Protection Agency says the South Korean carmakers, owned by the same parent company, overstated the gas mileage on 900,000 vehicles over the past three years. The EPA discovered the bloated figures during an audit of gas mileage tests undertaken by the companies. 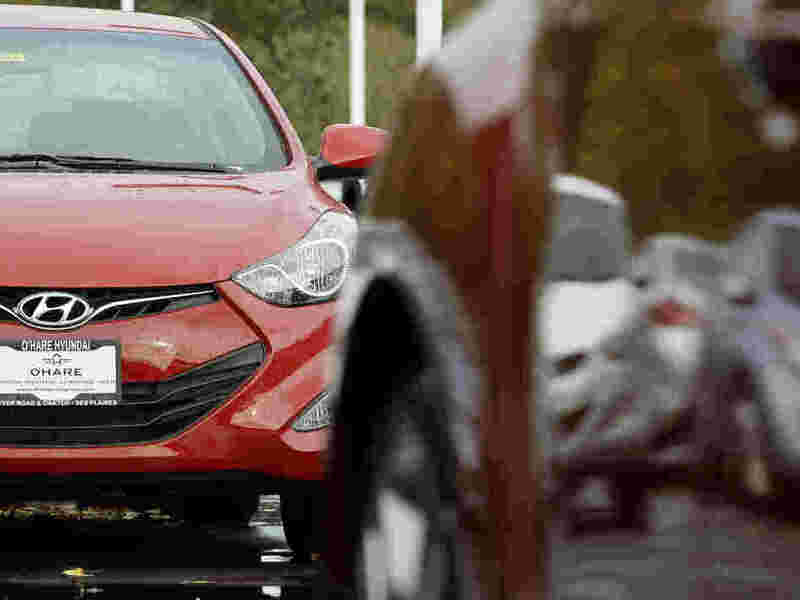 The agency said last week it was investigating how the carmakers arrived at the numbers. "The EPA found inflated gas mileage on 13 models from the 2011 through 2013 model years, including Hyundai's Elantra and Tucson, and Kia's Sportage and Rio. The window sticker mileages were overstated on about one-third of the cars sold by the companies during the three years. "As a result, Hyundai and Kia will have to knock one or two miles per gallon off the vehicle stickers of most of their models. Some models will lose three or four miles per gallon. The Kia Soul, a funky-looking boxy small SUV, will lose six from its highway figure, lowering it from 34 mpg to 28 mpg." The EPA is looking into the errors; the AP reported the agency wouldn't comment on whether the companies will be fined or if a criminal investigation is under way. Automakers typically put their vehicles though an EPA-mandated test and submit the data to the government. The result is the number you see when you go out to buy a car. But, says Jerry Hirsch, who covers the automotive industry for the Los Angeles Times, the EPA conducted its own testing after several complaints about the Hyundai Elantra. "The EPA got enough complaints where it decided, 'Let's test this car again,'" he tells Melissa Block, host of NPR's All Things Considered. "It tested the car and found out that its results were different than the results tested by Hyundai. So then they said, 'Wow! This is unusual.' And they went back and tested a whole bunch of cars that are produced by both Hyundai and Kia." In a statement on Kia's website, the company apologized for the rating, and said both it and Hyundai are "voluntarily adjusting the fuel economy ratings for approximately 900,000, or 35 percent of, 2011-2013 model year vehicles sold through October 31, 2012." The statement blamed the inflated estimates on "procedural errors at the automakers' joint testing operations in Korea." "Both companies are putting in place a comprehensive reimbursement program for affected current and former vehicle owners to cover the additional fuel costs associated with the fuel economy rating change. Customers will receive a personalized debit card that ill reimburse them for their difference in the EPA combined fuel economy rating, based on the fuel price in their area and their own actual miles driven. In addition, as an acknowledgment of the inconvenience this may cause, we will add an extra 15 percent to the reimbursement amount." The LA Times' Hirsch tells NPR's Block that it's likely to cost the companies $50 million to $60 million dollars. Ultimately, though, he says it's unlikely to have a long-term impact. "This is a black eye for the companies and they've really oriented their advertising and marketing to fuel economy, but you also have to put this in perspective," he says. "This is a pocketbook issue. It's not a safety defect. No one's getting killed. No one's getting hurt. There's no risk to drivers. And I think this is a bruise that will heal pretty quickly." The controversy did, however, worry investors who dumped shares in the companies. Bloomberg reported that in trading in Seoul Monday, Hyundai and Kia lost a combined $4.7 billion in market value. Hyundai, South Korea's No. 1 carmaker, fell 7.2 percent. Kia, No. 2, lost 6.9 percent.